Something that sounds like a conspiracy theory isn’t necessarily false. The very notion of a self-publishing company is an oxymoron. As people of words, authors need not be led so far afield by games of cheap semantics. If you sent your clothes out to be cleaned, you wouldn’t claim to be doing your laundry yourself. If you went to school, you wouldn’t claim to be self-educated. Why is it that people who hire an author services company claim to be self-published? Beyond the art of writing lies the business of publishing. Just as you had to learn the basics of grammar, spelling, and style to become a writer, you must learn the basics of book production, distribution, and marketing to become a publisher. There’s no such thing as “hand off your manuscript and be done with it”—even in traditional publishing—but this fantasy is the flypaper that vanity presses use to attract and kill their prey. Life is full of danger. Crossing the street is potentially fatal, but with a little bit of knowledge, it becomes a trivial undertaking with high odds of success. Publishing is no different. Research publishing before you finish your book. Don’t finish the last page and ask, “what do I do now?” Buy books on self-publishing and read the many blogs on the topic. Work with professional editors, typesetters, and designers—but contract these professionals yourself. Why pay a professional rate for marked up services? Work directly with the people who will be working with you. Steer clear of middlemen. If you’re having design conversations with an account representative, you’re being kept out of your own loop. Own your assets. If you’re a self-publisher, buy your own ISBN number. File your own copyright application. Don’t fall for the “free ISBN” scam; you get what you pay for. Pay the (ridiculous) fee for your own ISBN number and establish yourself as the publisher of record. When you work with editors, artists, and designers, the digital files they produce are works made for hire; they belong to you. Avoid anyone who refuses to share these assets; leverage over you is the only value these files give a contractor once your book is in production. Run the numbers. Understand how many books you have to sell before you make any profit. Calculate the costs of any services you contract, seller commissions, and your research and writing time. Many writers elect to spend more money than they’ll earn for the simple joy of writing and publishing a well-crafted book. This is fine—as long as you don’t conflate the goals of art with the goals of business. 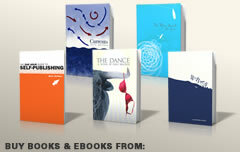 I’ve published six books of my own and helped many other authors publish theirs. I’ve had to overcome a few production challenges but I’ve never been scammed or ripped off. I even got a personal telephone response from top-level execs at Ingram when I had an important quality control problem to bring to their attention. My dealings in self-publishing have been overwhelmingly positive. I’ve dealt with plenty of honest people who are genuinely concerned about producing excellent work. The network of “author services” companies that preys on self-publishers is hardly invisible. The first page of results from a simple web search for “publish scams” or a perusal of Predators and Editors will keep you engaged for hours. Spend an evening or two reading about publishing to protect all those hours spent writing. Publishing scammers are greedy and unethical, and the scope of their misdeeds is shocking, but the only advantage they have over you is your own ignorance. Publishing a book is as safe as crossing the street. Please correct me if I’m wrong here, but from what I understand there is another very sensible reason to purchase your own ISBN number for any given version (print or digital) of your books – and that is to collect all the sales data on that version/edition under one number, regardless of which platform service you publish it on. If you simply accept a creatspace and amazon assigned number, the same version of your book on a different platform will then have a different number. It may or may not make a big difference, depending on your sales volume – but on the off-chance an organisation that publishes best-seller lists, or even a publisher looking at your indie sales record with a view to making an offer, checks up on that ISBN, they will see all your sales figures, instead of just sales figure on one platform. At least, that’s the way I saw it reasoned out on a self-publishing guide site – albeit about two years ago, so perhaps I’ve muddled the details? But I have purchased my own ISBN’s in any case. You’re absolutely correct. At large scale, it’s valuable to have a unique tracking number for each edition of a book. Unfortunately, for micropublishers in the US, the need for multiple ISBNs amounts to a “tax” charged by Bowker on each version of each book. The benefits of the tracking don’t outweigh the costs. And big publishers buy ISBNs cheap in massive blocks. For them, it costs next to nothing to assign a unique ISBN to each version of each book. Ultimately, the pricing strategy encourages “cheating” at the “lower” levels – and this is where the majority of books come from. Any direction on where to find total sales using the ISBN of one of my books? I found http://writers.stackexchange.com/questions/1483/where-can-i-find-sales-numbers-for-books but no magic formulas. Yes, found that as well. So, owning all my own ISBNs might provide a purity of data, but not, necessarily, a benefit to ME through the purity of that data. At least, not yet. Yeah, I’m convinced owning the ISBNs is, in fact, a good idea. I just wish I’d bought 100 back when I bought 10. When I had a little money. All useful stuff. Thank you. It reminds me of something I once read in a Wilbur Smith novel set during an African gold rush. The gist was that you don’t have to find gold to get rich in a gold rush. You can simply supply something to the thousands of people with dreams of finding gold. To Smith’s observation, I would add, that if you supply shovels, at least you’re honest. If you supply maps to a ‘secret source of gold’, you’re a crook. Isn’t recommendation a simple way of distinguishing the honest suppliers from the crooks? I am a small publisher – six books so far, and so far all children’s books and in print only, no ebooks. I know the editorial, art direction, book design and production parts of the business from many years as an author/book packager (in a totally different genre). But the marketing, so far, I haven’t mastered. It feels like the wild west to me – changing all the time, and full of bandits. I was feeling guilty about not doing a good job of marketing for my authors. But I’ve read and heard more and more (in blogs, webinars, etc.) that marketing falls to the authors, whether they’re traditionally published (including by big, established houses), published by a vanity press, or truly self-published (through CreateSpace or IngramSpark, for instance). Then it occurred to me that in many cases that opinion was being published/broadcast by people who are in the business (or have partners in the businees) of selling marketing services to authors. So now I wonder if I can trust what they have to say. How would you assess the amount of marketing work an author will have to do in the three kinds of publishing situations – traditional, vanity, and self? I have a simple answer for you: Traditional publishers will give you an advance against royalties, and anything you make above that is good fortune. They won’t promise you more, but they’re the ones taking all the risk. At least there’s nothing unethical about that approach so let’s table that publishing category. As for the others, a real marketer trades in results. Anyone can create promotional tools and campaigns for you, but a pro will want to find out if you have a marketable product. Does the marketer ask what your topic is and who it’s for? How will you reach your audience? What are the demographics and psychographics of your readers? If you’re a certain type of writer with certain circumstances, I can help you sell tons of books. But if you have that book and those circumstances, you probably don’t need me because you wrote the book to fit the business plan rather than the other way around. With a few exceptions (bells ring in casinos all the time), successful indie publishers start with a marketing plan and then write the book. They see a need and fill it. The novelists and memoirists of the world (which include me) are no different from other artists who tell their stories in various ways. Their contribution to the world is important, but finding a way to market their work (or even price it) is a difficult task. Sometimes, it’s better to put your message in a bottle and set it adrift then it is to hire a marketer. I went through CreateSpace with my current book. If you can do everything on your own, it is free. They do offer editing and cover design packages, but I did the whole book myself. I once had publisher do a book for a price and it took me years to break even. I am sure other self publishing platforms are good, but I have been pleased with CreateSpace. I have read several positive critiques of CreatSpace. But I noticed that nowhere in this thread is there any mention of PressBooks. A friend of mine suggested working with PressBooks because he recently published through them and felt it was more of a holistic, thorough experience than any other service. I will looking at both and more. I see plenty of recommendations out there, both good and bad. I use LightningSource. Others use CreateSpace or Spark. I don’t know of too many more viable POD options, but each has pros and cons and there may be some great ones I haven’t heard about. Publishing is changing fast, and your best bet is to do research on what options are available when you’re ready to publish. 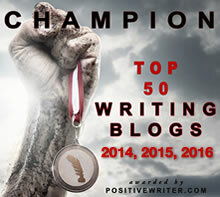 I try not to name too many names on this blog because a new option could show up tomorrow. Or someone could have a bad experience with a good operator and spread “warnings.” Ron, you pass on a recommendation from “a friend,” but have no personal experience. Pressbooks is a good outfit, and they offer some cool online tools for publishers, but they’re not printers or distributors. Nobody “publishes through them.” Kudos to you for sharing, but every author who wants to self-publish has to explore options, learn about the process, and see what’s possible today. Recommendations make convenient shortcuts, but the long way is the smart way. Anyone going into the publishing business should learn about publishing. Thanks for reading and posting here, especially if I didn’t post your warning or endorsement. Dave, as a former in-house editor who worked for a publisher, and who now, in semi-retirement, assists authors who seek to publish their work through the POD platform, this article was especially re-affirming and helpful. Everything you have said rings true in my experience. While I cannot charge the writers with whom I work the true cost of my services which entail advising them on the ISBN and copyright registration process, providing developmental editing for their manuscripts, securing top-notch interior and cover designers, and assisting them in setting up accounts with Lightning Source/Ingram Spark (my preferred go-to printer), I nevertheless get great satisfaction in helping them produce a book whose quality is indistinguishable from that of a “mainstream” commercial publisher, which is, in my view, the ultimate goal of successful self-publication. Mark, it sounds like we’re in identical businesses. The information you speak of is available online for free, but many writers don’t want to learn any more about publishing than they have to. The advice you give will potentially save them thousands of dollars, and I believe you’re entitled to charge a fair rate as a publishing consultant on top of your editing work. At very least, charge a high-end rate for editing (and be worth it, of course) and bundle the guidance as a value-added service. An editor who can help guide a book and its author through the publishing process is certainly worth more than an editor who only edits. You say in your article, “My deal­ings in self-publishing have been over­whelm­ingly pos­i­tive. I’ve dealt with plenty of hon­est peo­ple who are gen­uinely con­cerned about pro­duc­ing excel­lent work.” You mention how one can sample all the scams and scammers our there, but can you offer some contact info on the “good” guys? That would be helpful. Thank you very much, Dave. Having been first traditionally published in 1992, I have been self-publishing in India since 2007. I have so far published six of my own books. Over the years I learnt a lot about publishing, and your article has added to my knowledge. I need to improve in terms of promotion and overseas marketing. I look forward to publishing several more of my own books as I like the freedom and control, and the opportunity to give vent to my own creative instincts. All good wishes. I refuse to go through life as a victim. Esp since no one owes me anything in the first place. I feel the same way; hence my article. 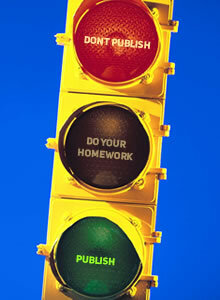 If you do your homework and understand publishing basics, you won’t get taken. If you do, it’s your own fault. I work with authors – as you do – and based on our previous conversations, I’m sure you treat your clients with integrity. With so many options and so many changing processes, we need to position ourselves as trustworthy educators who act in our clients’ best interests. My purpose is not to rail against the vanity presses and scammers. My purpose is to ring the bell, wake up a few authors who are dazzled by the lights, and encourage people who publish to learn about publishing. I have counseled dozens of people who believed they got taken by a self-pub company. In every case I tell them, “show me the contract.” I read the contract. Unless you pay extra for the Gold Package (or whatever nomenclature), all they promise to do is to print your book (or produce a POD file for later) and make it available to retailers. And every company, so far, seems to do a pretty good job of that. Small wonder that Judge Cote didn’t find any fraud. You expected marketing? Big sales? Those are up to you. Splendid article. Choices have consequences. THANK you! I can’t tell you how many of my clients crave to hurry right out and hire these folks. The variety of “services” offered to do things you could do yourself in ten minutes for a fraction of the cost beggars the imagination. Often, my editing clients don’t understand what an ISBN is or why they should have it. For example, contrary to what one commenter observed, Google does NOT offer a “free ISBN.” It assigns an inventory number. That is different from an ISBN. It’s so easy to perform these services for yourself — even though I do agree that Bowker overcharges — there’s really no excuse to get roped in to hiring someone else to do it. Actually, Google does assign you an ISBN; they just don’t assume any publishing rights. It’s a bit of a gray areas as far as the “publisher of record” goes, but I imagine they buy 100,000 of them for next to nothing each, and then use them as a loss leader. I got Google ISBN numbers for some of my ePub eBooks and then listed those same numbers with other booksellers. It’s Amazon that assigns an ASIN number, an entirely different thing than an ISBN. But yes, you’re right about the vanity presses. They’re a pox on publishing. Nothing. Though this makes CS the publisher of record, Amazon doesn’t dip into your sales. They make enough off the printing and bookselling. I have a similar question. I first published an upper-middle-grade/YA novel as a kindle with Amazon KDP, then created the paperback version with Amazon Create Space. With Create Space, I did receive a free ISBN, but they went to great lengths to say this didn’t make them the “publisher.” Could their ISBN make them the “distributor”? Or did I miss something in doing this? This is the first I am hearing about this, so any insights you have are appreciated. Thanks..
A quick P.S. I just looked at the Create Space listing (https://www.createspace.com/5285256) and find it interesting that they don’t list a publisher. I’m not sure who Amazon associates with the ISBN when they buy it from Bowker. I think there’s a gray area here; technically, Amazon is the publisher if they own the ISBN but if they were to assert that ownership, they’d cause a riot (and a lawsuit). CreateSpace has always stood as one of the more reputable author services companies (and there aren’t many of them). I think of them more as a proxy owner of the ISBN number than as the official publisher. I haven’t reviewed the CreateSpace contract, but I expect there’s some wording to this effect. While I’d certainly prefer to use my own ISBNs, my budget makes me very aware of the cost. Three or four books a year, in digital and print, means I need to come up with $600 for the 100-pack for it to make any sense. And I’m still not sure what I get for that, other than a small step toward a more professional appearance to other authors and those in the publishing world. If I had the funds I’d do it in a heartbeat. I guess I’m just concerned that by not spending the money, I’m hurting myself in some way I still haven’t grasped. The issue you raise quite diplomatically concerns Bowker’s license to print money. ISBNs are free in many countries as Library of Congress control numbers are in the US. I understand that Bowker doesn’t operate at zero cost, but their price structure is hardly fair to small publishers. Of course, if Amazon/CreateSpace can offer ISBNs “by proxy,” it stands to reason that someone else could buy 100,000 numbers and offer fairer pricing. Hmmmm. But this intrepid entrepreneur would still be listed as the publisher of record, just as CreateSpace is, because Bowker’s rules explicitly state that you can’t resell ISBNs. I like what you’re thinking. See, if I was listed as the publisher in “Books in Print” but I allowed my authors to put whatever they wanted as an imprint on the spine and on the publisher’s page . . . Curious about your thinking regarding ISBNs. Other than access to brick-&-mortar stores (a matter of indifference to me) when, where, why, and how does it matter who is the publisher of record? I know readers don’t care. You well know my stance on professionalism, doing the work, respecting the art/biz dance, Dave. What am I missing here? Sensing an important learning opportunity. The publisher of record sets the price, controls the distribution, and receives profits before any royalties are disbursed. The copyright holder can prevent others from copying the work, but having licensed the right to publish to a third party, that author has put another middleman between himself and the money. A SELF-publisher IS the publisher of record AND the author. You set your prices, commissions, etc. A vanity press risks nothing on your book, but as the ISBN owner and the publisher of record, they control everything. They can even decide not to distribute your book any more. You’re correct that readers don’t care, but just as a copyright protects your content, establishing yourself as publisher of record gives you ownership and control over whatever unique edition of that content is represented by that number. This is why a separate ISBN is required for hardcover, softcover, large-print, and other editions of the same copyrighted content. One could conceivably publish the same material through several different publishers (if your contract allowed that) or (perhaps more realistically) through different divisions of the same publisher. In the case of a dispute, the ISBN number would be cited as one piece of evidence connecting the publisher or division to a particular edition of the book. If you think you’re “self-publishing” and you don’t do your homework and you get fleeced (which happens every day), if a vanity press holds the ISBN, they’ll have good legal standing to claim that they – not you – are the publisher. And this leaves you without much legal recourse. Now turn it around. As a true self-publisher holding an ISBN that represents your book, you have the control. This is the up-side of self-publishing right here. You have creative control and also financial control.